Ever year, the Salvation Army provide food hampers and gifts to families in need. To help them fill these champers, Health Mates is coordinating a food drive and asking for your generous donations to help put smiles on the faces of those less fortunate this Christmas. 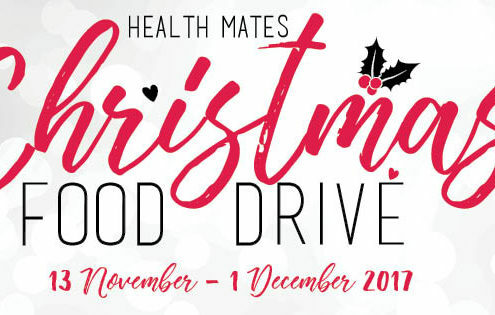 To make a contribution, please visit Health Mates to drop in your donation by Friday 01 December 2017.